Gold is one of the most sought-after and appreciated metals in the world, and has been for thousands of years. It is an element, a store of value, and a thing of beauty. It serves many industrial uses. It can even be eaten! Here are 25 interesting facts about gold. Gold never oxidizes. In other words, it never gets rusty and s shiny forever. Gold is soft (malleable) compared to other metals. 1 gram of gold can be beaten with a hammer down to a 1 square meter sheet that light would shine through. For perspective, most gold bullion coins weigh 1 troy ounce at the most, which equals 31.103 grams. Gold is the heaviest and densest of all metals in the Periodic Chart. One cubic foot of gold weighs about 1,187 pounds (more than half a ton). Gold is much rarer than diamonds. Technically speaking, a pound of feathers does weigh more than a pound of gold. Gold is measured in troy ounces, while feathers would typically be measured in the Avoirdupois system. One troy ounce equals approximately 1.09714 avoirdupois ounces. The heaviest (meaning containing the most pure gold) bullion coin ever produced was an Australian Kangaroo coin weighing one kilogram, which is 32.15 troy ounces or 2.2 lbs. Most bullion coins weigh about 1 troy ounce or less. The last country to be on a gold standard (backing up its currency with gold) was Switzerland. The country backed up 40% of its money supply with gold until 1999. Gold has been treated as a store of value and used as currency for almost as long as monetary systems have existed in the world. The most expensive gold coin ever sold was a 1933 Double Eagle, which sold for $7.59 million in 2002. In 2011, just 4% of the world’s population controlled 12.6% of the world’s gold. The country holding the most gold in the world is the United States with 8,133.5 tons. 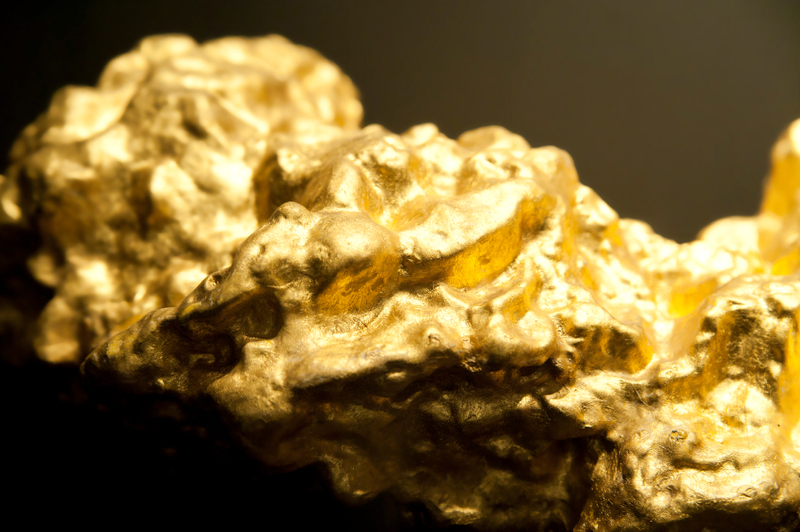 About 88,000 tons of gold have been mined from Earth since gold’s discovery. In 2013, China produced the most gold in the world, producing about 463 tons. Second and third were Australia and the United States. The largest gold nugget ever found is thought to be the “Welcome Stranger”, found in Australia in 1869 and weighing 2,520 troy ounces (173 lbs.). The world’s deepest gold mine is Mponeng in South Africa. It is 2.5 miles deep – the length of 10 Empire State Buildings. Gold was one of the first metals discovered by man, along with copper, in circa 5000 BC. Gold can be turned into thread and used in embroidering. Gold is an effective reflector of electromagnetic radiation such as infrared, visible light, and radio waves. It is used as protective coating on satellites as well as for thermal protection in astronaut suits and helmets. Being a great conductor of electricity, gold is used in electronic cables such as audio, video, and USB cables. Gold chloride solution along with gold oxide are used to make red-colored glass. Gold toners are used in photography to change certain colors or increase their stability. China, the number one consumer of gold in the world, accounts for 30% of global jewelry demand, much of which is gold jewelry. India is the second largest consumer of gold in the world. A large portion of the gold Indians buy is used for the 10,000 traditional Indian weddings held every year. Edible gold is sometimes added to expensive desserts in high-end restaurants. The most expensive dessert ever, the Frrrozen Haute Chocolate ice cream sundae, was sold in New York in 2007. It cost $25,000 and was decorated with 5 grams of edible 23-karat gold. Illuminated manuscripts, manuscripts with heavily adorned text, were decorated with gold. Contrary to what the urban legend holds, the “Bond girl” actress in the 1964 James Bond film Goldfinger did not die from asphyxiation after being covered in gold paint. As long as you can still breathe through your mouth or nose, you will not die from asphyxiation when covered in paint. What’s a final interesting fact about gold? In 1997, the IRS gave investors the ability to hold certain types of gold, silver, platinum, or palladium bullion in an Individual Retirement Account (IRA). Gold, as is evident in these facts, is a long-term store of value not as susceptible as paper assets to inflation, devaluation, market crashes, or government and corporate decisions. American Bullion specializes in adding gold to your individual retirement account through opening a Gold IRA. Call us today at 1-800-326-9598 or request your Free Gold Guide online.